Were Hedge Funds Right About Flocking Into Aon plc (NYSE:AON)? The Insider Monkey team has completed processing the quarterly 13F filings for the December quarter submitted by the hedge funds and other money managers included in our extensive database. Most hedge fund investors endured a torrid quarter, which certainly propelled them to adjust their equity holdings so as to maintain the desired risk profile. As a result, the relevancy of these public filings and their content is indisputable, as they may reveal numerous high-potential stocks. The following article will discuss the smart money sentiment towards Aon plc (NYSE:AON). Is Aon plc (NYSE:AON) the right pick for your portfolio? Investors who are in the know are in an optimistic mood. The number of bullish hedge fund bets inched up by 10 lately. Our calculations also showed that AON isn’t among the 30 most popular stocks among hedge funds. AON was in 40 hedge funds’ portfolios at the end of the fourth quarter of 2018. 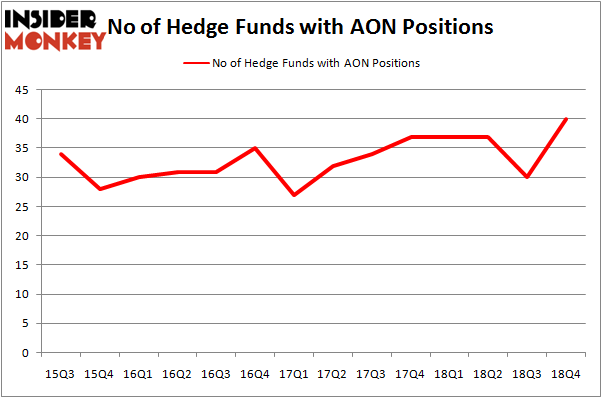 There were 30 hedge funds in our database with AON positions at the end of the previous quarter. Let’s take a look at the latest hedge fund action regarding Aon plc (NYSE:AON). How have hedgies been trading Aon plc (NYSE:AON)? 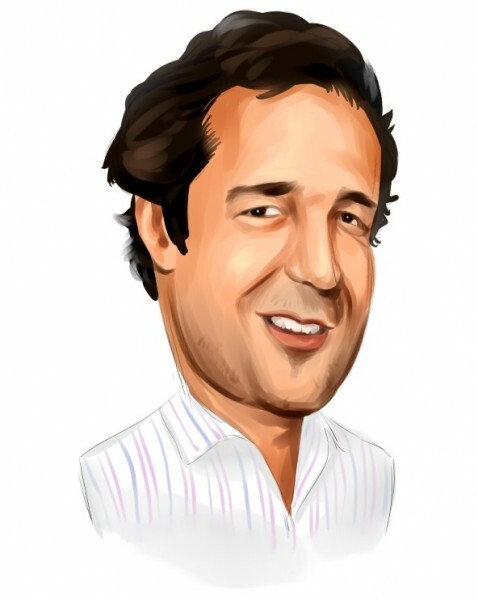 At Q4’s end, a total of 40 of the hedge funds tracked by Insider Monkey held long positions in this stock, a change of 33% from the second quarter of 2018. Below, you can check out the change in hedge fund sentiment towards AON over the last 14 quarters. So, let’s see which hedge funds were among the top holders of the stock and which hedge funds were making big moves. Among these funds, Eagle Capital Management held the most valuable stake in Aon plc (NYSE:AON), which was worth $735 million at the end of the third quarter. On the second spot was First Pacific Advisors LLC which amassed $272.6 million worth of shares. Moreover, Iridian Asset Management, Cantillon Capital Management, and Permian Investment Partners were also bullish on Aon plc (NYSE:AON), allocating a large percentage of their portfolios to this stock. As aggregate interest increased, key hedge funds were breaking ground themselves. Point72 Asset Management, managed by Steve Cohen, assembled the most valuable position in Aon plc (NYSE:AON). Point72 Asset Management had $23.3 million invested in the company at the end of the quarter. Peter Rathjens, Bruce Clarke and John Campbell’s Arrowstreet Capital also initiated a $19.2 million position during the quarter. The following funds were also among the new AON investors: Matthew Tewksbury’s Stevens Capital Management, Daniel Lascano’s Lomas Capital Management, and Joel Greenblatt’s Gotham Asset Management. Let’s now take a look at hedge fund activity in other stocks – not necessarily in the same industry as Aon plc (NYSE:AON) but similarly valued. We will take a look at Altaba Inc. (NASDAQ:AABA), American International Group Inc (NYSE:AIG), AFLAC Incorporated (NYSE:AFL), and Energy Transfer L.P. (NYSE:ET). This group of stocks’ market values are closest to AON’s market value. As you can see these stocks had an average of 42.25 hedge funds with bullish positions and the average amount invested in these stocks was $4013 million. That figure was $2188 million in AON’s case. Altaba Inc. (NASDAQ:AABA) is the most popular stock in this table. On the other hand AFLAC Incorporated (NYSE:AFL) is the least popular one with only 27 bullish hedge fund positions. Aon plc (NYSE:AON) is not the least popular stock in this group but hedge fund interest is still below average. We should note that several hedge funds got into the stock in Q4 and hedge fund interest is currently at an all time high. Our calculations showed that top 15 most popular stocks among hedge funds returned 19.7% through March 15th and outperformed the S&P 500 ETF (SPY) by 6.6 percentage points. Hedge funds were also right about betting on AON, though not to the same extent, as the stock returned 17.3% and outperformed the market as well. Is Vertex Pharmaceuticals Incorporated (VRTX) A Good Stock To Buy? Were Hedge Funds Right About Dumping FedEx Corporation (FDX)? Is Illinois Tool Works Inc. (ITW) A Good Stock To Buy? Were Hedge Funds Right About Selling Northrop Grumman Corporation (NOC)? Were Hedge Funds Right About Ecolab Inc. (ECL)? Were Hedge Funds Right About Getting Into Bank of Montreal (BMO)?